Please join us for our first annual BAWP Film Series. Film to be followed by discussion with Melina Abdullah, Professor and Chair of Pan-African Studies at California State University, Los Angeles, organizer with Black Lives Matter, and interviewee from the film 13th. This workshop event will focus on engaging the community at large, including teachers and students, in critical civic issues with the purpose of building understanding, advocacy, and action. Framed around the movie 13th (a documentary on Netflix), our teacher workshops will explore the 13th amendment and related issues raised in the film. We will also be offering FREE community workshops for our non-educator friends and the community at large. Even in elementary school students grapple with a foundational understanding of the constitution. They wonder about current affairs and basic human rights. We will think about lesson design that helps students understand the power of their voice in shaping democracy. Applying critical reading scaffolds to complex text, visuals, and media, we will bring students into conversation the with constitution and its amendments. We will also explore ways to support students to make sense of complex ideas and to engage in dialogue with one another. As the Co-Director of BAWP, Aija Simmons spends her time coaching teachers, facilitating the Weekend Workshop and Saturday Seminar Series and creating the Invitational Summer Institute in the Teaching of Writing. She has been teaching in urban public schools for 15 years. She also facilitates teacher inquiry groups through the Mills Teacher Scholars program. Aija enjoys creative writing and blogging in her down time. Too often, we employ strategies like “Say, Mean, Matter” that lead our students to surface-level analyses of texts when we know they are capable of much deeper interpretations. What would their interpretations look like if we were to explicitly teach young people theoretical frameworks and how to apply them? This session will focus on a reading and analysis strategy adapted from Dr. Patrick Camangian’s 5 Levels of Analysis (2013) that does just that. Through this framework, students are able to grapple with the more complex meanings within a text, the subtext, and ultimately, apply their analyses to their own lives in order to build not only academic literacy, but literacy for liberation. Karen Salazar is in her 11th year of teaching English, but has also taught Humanities and Sociology. Before teaching at ARISE High School in Oakland, she taught in South Central LA and Watts, in both district schools and charters. The documentary “13th” illustrates how we have specific individual, cultural and institutional narratives, or stories, around race, class and incarceration. How do we get these stories? Who tells them? Where do we learn them? In this age of clickbait headlines and news sound bytes, our consumption of current issues is shaped by snippets of carefully tailored, powerful language and images that rapidly multiply on platforms such as Twitter, Instagram and Facebook. Concurrently, access to devices and the internet has democratized information production and sharing. As consumers of information in digital spheres and as producers of information, we have the responsibility to examine the complete role that technology plays in shaping our understandings of race, class and incarceration. Cancelled: Real Rap Workshop (if you registered for this workshop you will have the opportunity to choose a different one on the morning of our event). This workshop will investigate the purpose of narratives in teaching. We will begin by considering some main points in the research about pedagogy and affect, as well as issues of the aesthetic. We will connect this understanding to practical examples of the dilemma of bringing in provocative texts, such as the documentary 13th, into the classroom. We will investigate how (and if) it is possible to successfully balance between provocation, reaction and aversion. To the end the workshop we will consider the fundamental question: How can educators use the emotional effect of fiction and film to support deep learning without creating resistance towards the content? Dr. Linn Areskoug is a teacher educator and researcher in literature at Uppsala University in Sweden. She teaches courses at the university about comparative literature, children’s literature, critical literacy studies and diversity in education. Areskoug’s current research is focused on the pedagogical uses of literature and film in teaching and the relationship between aesthetics and ethics in fiction. 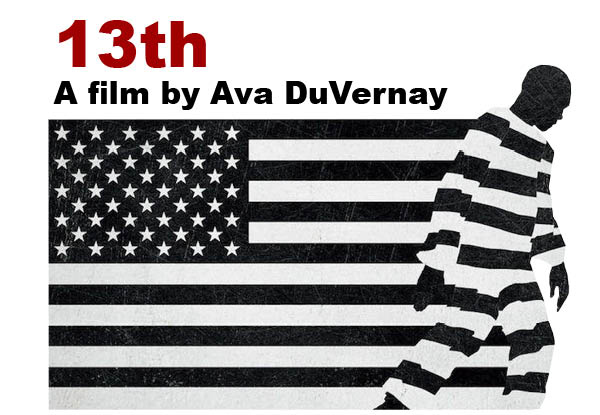 This workshop will use Ava Duvernay’s documentary 13th as a compelling visual and written text that can help participants think about mass incarceration over time. Participants will be led through several activities that examine how mass incarceration results from, and fuels, racist rhetoric and policy that criminalizes black, brown and poor bodies. Participants will treat the film like an essay, for which they must identify key elements: thesis, evidence, counter-argument, examples of ethos, pathos, logos. They will deconstruct film segments and related readings to craft their own mini-historical analysis writing on subtopics, including detention centers, the link between poverty and imprisonment, policing, and the war on drugs. Finally, they will produce an creative, alternative text (poetry, song, visual art) as a response piece – a work of resistance, informed by an element of their historical analysis. Hillary Walker has been teaching Social Studies and English for the past eleven years. She currently teaches U.S. and AP U.S. History, and is the History Department Chair at REALM High School. She is a Program Associate with Mills Teacher Scholars and a BAWP Teacher Consultant. In this workshop developed for 6th-12th grade teachers, we’ll explore our own experience with technology as it relates to reinforcing or interrupting those oppressive narratives. We’ll move to inquire into the implications for students’ learning in and out of schools, and make decisions about our roles as educators in this digital age. We will use inquiry-based strategies and online platforms that can immediately be applied to your classrooms to engage students in a similar conversation. Please bring a laptop or other mobile device to this workshop! What are the narratives that are used to oppress, and what are the narratives that are used to interrupt, or counter, that oppression? Who is creating each of the narratives? How could technology – both devices and software platforms – play a role in the narrative making around race, class and incarceration? What do you see as essential understandings that students need to develop about their experience with technology as it relates to their experience as people with a shared history?